Here's a little bag I made a while ago but never got around to showing you. I have used flock vinyl tshirt transfer which is readily available from sellers on Ebay. 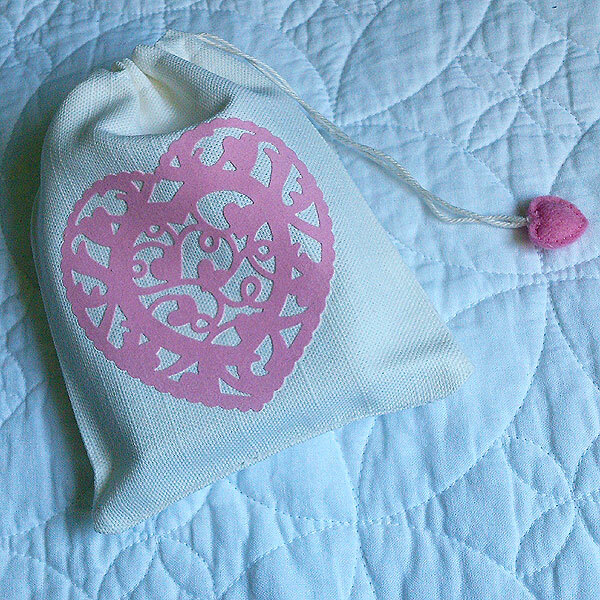 I cut it with my Tonic Affections dies and ironed it onto this 100% linen bag. Instead of just having a plain old knot at the end of the string closure, I cut two small hearts from felt and sewed them together with a tiny amount of toy stuffing between to enclose the knot. It's a cute litte gift idea. 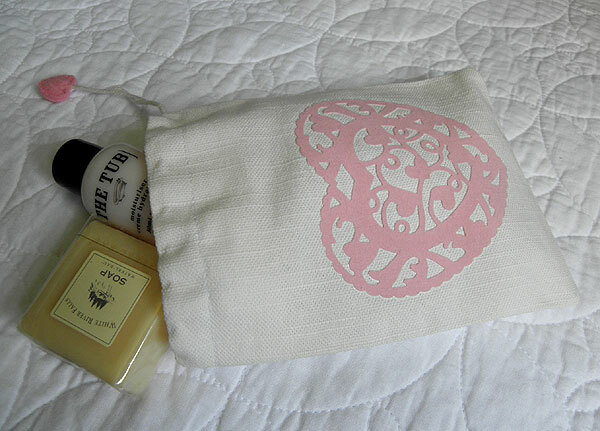 Just fill with toiletries or other small items. Today it's rather wet and "dreich" as we say up here in the Highlands. Hope you have some sunshine where you are.